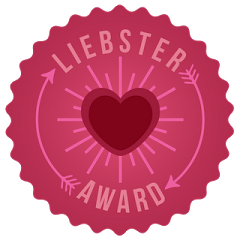 My super kind friend Gillian from Hookin' A Yarn kindly nominated me for a Leibster Award, so here are my answers to the questions she chose for me - and my three nominees at the end of the post, keep reading! - I see magic in every little thing and living being around me, and try to live as respectfully as I can according to this view of the world. - I have rather long (mid-back to waist length), chestnut, curly hair (from spirals to ringlets type of curly). I used to wear them really short when I was younger, then around 19 years of age (my, 8 years ago already?!) I finally decided to let them grow, and... well, now they are my pride and joy! Do you prefer to cook for yourself or to eat out? I love cooking, any type of meal. I think cooking is magic, and cooking for someone you love is such a special experience, I would never give it up for a restaurant. I do love eating in the open air though. Not at all, I'd hate it, no joking. Is it better to have enough money to live comfortably or would you rather be rich? I'd go with living comfortably with the love of my life, no money could make me happier than being with him, no matter what difficulties we may face. Here's my answers, probably kinda boring, but funny to think about for me. - my very good friend Nata at Nata's Nest, who's already given me a number of good crafting advices and is such a nice person. - Valentina with which I share the name at Apprendista Mamma; we've been reading each other's blogs for not too long, so it could be nice to get to know each other better. First of all, tell us some random facts about you - how many is your choice! - Since we're all somehow creative people, tell us: what are your favourite crafts, and how long have you been crafting? - What do you do in your free time - besides the above crafting, of course? - What is your favourite season, and why? If I understood correctly, after you received the award you should answer the questions, then choose some blogs of your choice (as many as you wish) and ask their owner whatever you wish, plus ask them to tell something random about themselves! La mia gentilissima amica Gillian di Hookin' A Yarn mi ha conferito il Leibster Award, quindi ecco le mie risposte alle sue domande - e alla fine del post le mie nomination! - Vedo la magia in tutte le cose e gli esseri viventi che mi circondano, e cerco di vivere nella maniera più rispettosa possibile in base a questa visione del mondo. - Amo la musica, e la mia preferita in assoluto è quella di Simon & Garfunkel. Preferisci cucinare o mangiare fuori? Adoro cucinare, di qualunque pasto si tratti. Penso che cucinare sia una magia, e cucinare per qualcuno che ami è un'esperienza speciale a cui non rinuncerei per un ristorante. Ciò detto, aggiungo che adoro mangiare all'aperto. E' meglio avere soldi quanto bastano per vivere tranquillamente o preferiresti essere ricca? Mi basta vivere con il mio amore. Non ci sono somme di denaro che mi renderebbero più felice dell'essere con lui, indipendentemente dalle difficoltà che potremmo dover affrontare. Ecco le mie risposte, probabilmente un po' noiose, ma divertenti da trovare, per me. - la mia buona amica Nata di Nata's Nest, che mi ha già dato un numero incredibile di ottimi consigli su maglia e uncinetto, ed è una persona incredibilmente disponibile. - la mia omonima Valentina di Apprendista Mamma; leggiamo i rispettivi blog da poco, quindi perché non conoscerci meglio? - siamo tutte creative, quindi diteci: quali sono le vostre arti d'elezione, e da quanto tempo le praticate? - che cosa fate nel tempo libero - a parte le arti di cui sopra, si intende? - visto che amo la musica, ditemi: qual è la vostra musica preferita? Se ho capito bene come funziona il premio, dopo aver risposto passatelo ad altri blog di vostra scelta chiedendo ai loro proprietari di parlare in maniera generale di sé e chiedete loro delle domande specifiche, quali e quante preferite! Grazie ancora a Gillian per questo premio, è stato il primo per me, e mi sono divertita a rispondere! Congrats !!! Thta's great to know more about you ! Hav a lovely week end ! Congrats for your award ! Loved hearing more about you, would love to see a picture of your beautiful hair. I thank you so, so much for the award. I generally don't do awards on my blog because I just can't pick who to give them to. You see I suffer horribly at the thought of hurting anyones feelings and them feeling left out. But I thank you from the bottom of my heart for thinking of me. GRAZIE DI CUORE PER AVER PENSATO A ME CON QUESTO PREMIO! !Mi ha fatto piacere leggere di te...anche per conoscerci meglio! !io sono un po imbranata con queste cose i link spero di riuscirci!!bacioni!! !